2015 was great year for us here at Waltons we loved seeing the most customer projects that we have ever had and we had great fun hosting our competitions and coming up with all of our articles. Here is a round-up of our 2015 highlights and a bit about what to expect from 2016. 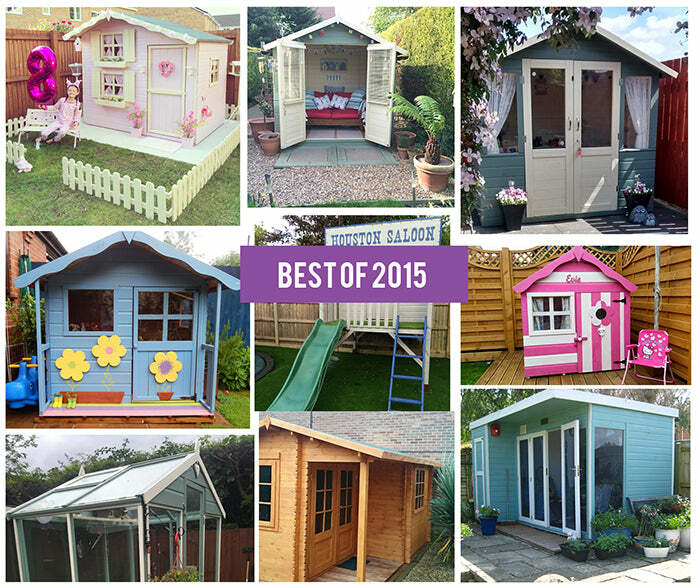 2015 was a great year for our customers sharing their garden building projects with us we saw garden sheds being turned into pretty features, summerhouses transformed into she sheds and playhouses turned into saloons. We now have a dedicated blog section for all of our customer storiescheck it out here.Want your Waltons building to be featured on our customer gallery? Share your photos with us on Facebook, Twitter or Instagram using the hashtag #MyWaltons. This post showcased our customer's summerhouses which had been transformed. The blog showed just how versatile these buildings can be and how easily customisable they are. The images were a result of our monthly Waltons Fan of the Month competition which we won’t be continuing this year however we will be running a new comp so keep an eye out for it on Facebook and Twitter. Take a look at the post here. We enjoyed writing this post, especially sourcing the fab and inspirational images that we used. The post explains how you can turn a garden shed into a relaxing summerhouse. Take a look at the post here. This post was designed to show how easy it is to organise a garden shed with a few genius tools, tips and uses for everyday items. If you didn't see the post, check it out here. Our favourite competition this year had to be the Pinterest Inspiration Create your Dream Garden Room Competition. She Sheds have become really popular over the past couple of years ( and rightly so) and we wanted to get all of you to get creative and think about how you could create your own using one of our buildings. We loved seeing everyone’s Pinterest inspiration boards and they have inspired some of our articles and content for 2016. To see the results of the competition click here. This year is going to be super exciting with a few updates to the site, some brand new products and lots of awesome competitions and features. Make sure that you are following our social media channels for exclusive offers, competitions and the latest news from us here at Waltons.